One of our very best sessions was had last Wednesday with that vanguard of vaudeville, The Birdmann! Updates full of photos coming soon, in the meantime though get your dose of Birdmann at his Fringe Festival Show! Runs until October 3rd, come see a “man like no other man”! 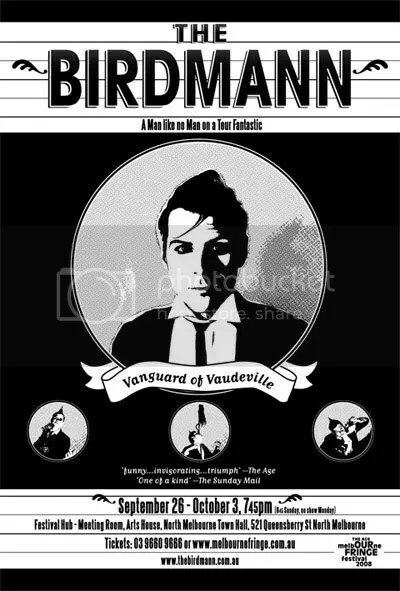 Direct from the New York Burlesque Festival, we have The Birdmann!